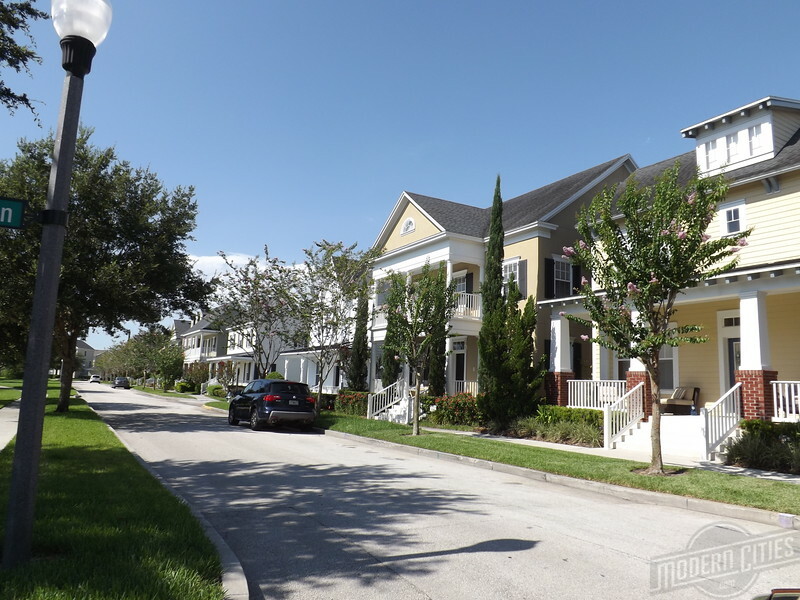 Faced with the reality of its Navy base being closed for good, the City of Orlando utilized the bad news as an opportunity to create an infill 1,100-acre new urbanist community within five miles from its downtown core. Here's a look at how Baldwin Park has matured after 15 years of development. Located in a metropolitan area that also calls Disney’s Celebration home, Baldwin Park is a new urbanist community that is generally overlooked. It’s planning dates back to the early 1990s, following the Pentagon’s to close the Naval Tranining Center Orlando (NTC) after 53 years of serving as a military training installation. 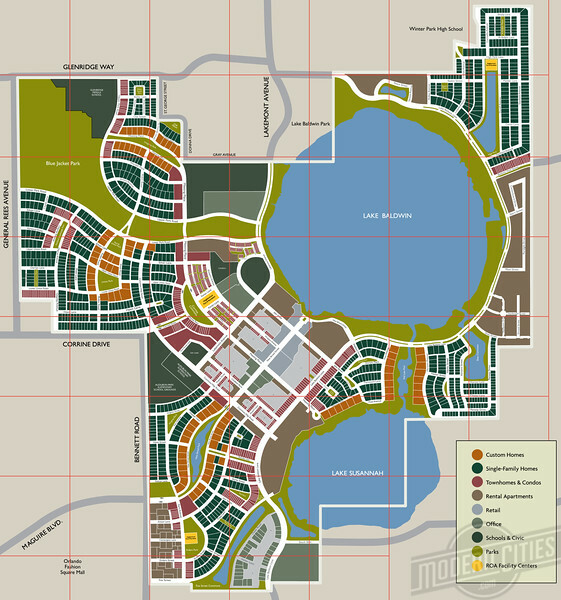 By 1997, A Vision Plan had been created to better link the site with surrounding established neighborhoods by providing public access to lakes, the inclusion of connected open spaces and dispersing automobile traffic through a gridded street network. 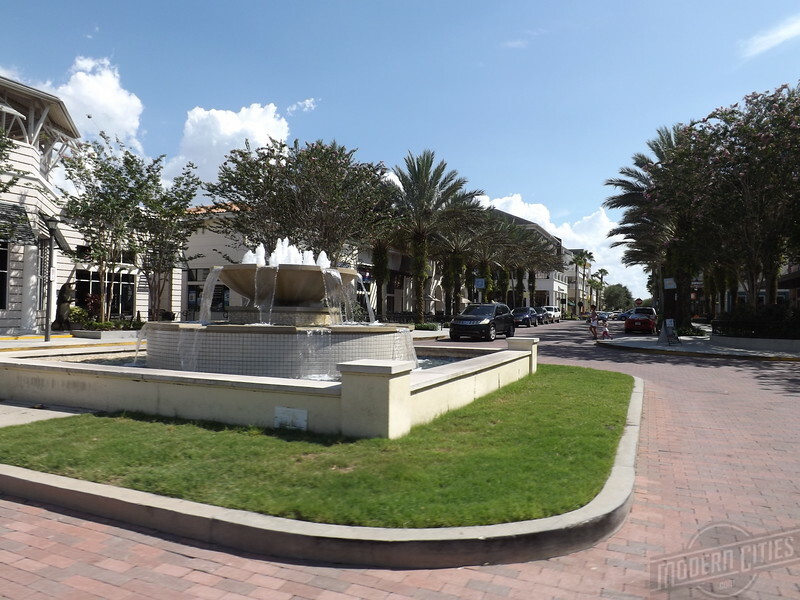 Planned to eventually host nearly 3,000 residential units and one million square feet of commercial/office space, primarily clustered in a centralized main street environment, Baldwin Park’s first residents began moving into their homes in 2002. 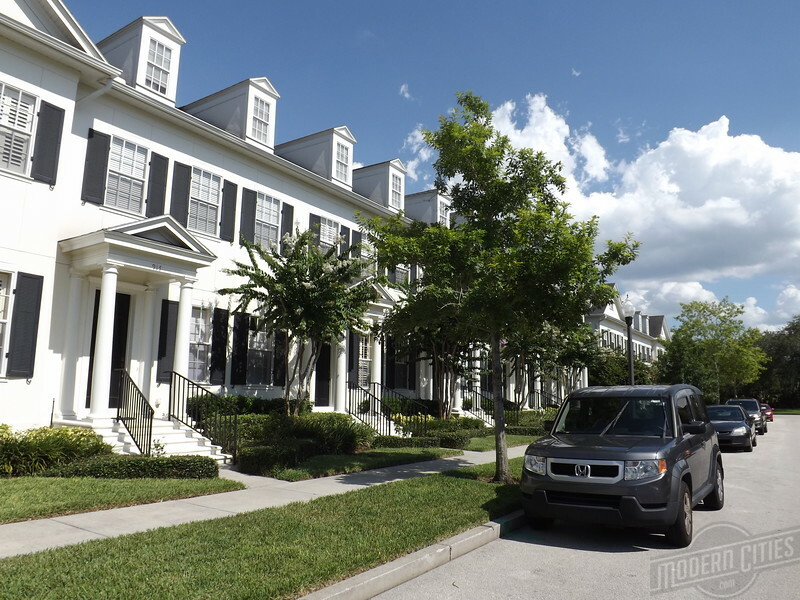 Due to its proximity to downtown Orlando, during its initial years of development, about 70 percent of those purchasing homes in the development were residents from nearby neighborhoods in Orlando and Winter Park. While the launch of the development’s residential components have proved to be of great success, Baldwin Park’s Village Center has struggled in comparison. Designed as a pedestrian oriented main street atmosphere harkening back to the days of pre-World War II America, it’s retailers have found it difficult to draw consumers who reside outside of the community, while also dealing with the economic reality of Florida’s real estate bubble popping a few years ago. In addition, while the district is patterned after main streets of a bygone era, it’s centralized location within the development, left it visually disconnected from arterial, commercial dominated roadways on the developments edge. Nevertheless, despite the retailing hiccups of the 2000s national recession, development has continued throughout the New Urbanist community, now home to more than 6,000 residents. According to Trulia.com, Baldwin Park’s median home sales have increased $34,500 (9%) over the past year, while the average price per square foot stands at $199, up from $196. 15 years after its groundbreaking, the award-winning New Urbanist community has aged gracefully and is a must see destination for anyone interested in urban planning, sustainability and smart growth.